Nancy Margagliano joined Caler, Donten, Levine, Cohen, Porter & Veil, P.A. in 2009 and was appointed Firm Administrator in 2013. Prior to this appointment, Nancy had served as the Office Manager of the Firm. Nancy previously worked for Ernst & Young as a Location Manager. As a Firm Administrator, Nancy is responsible for the day-to-day operations of the Firm. In doing so, Nancy is committed to maintaining the Firm’s culture and supporting employees at all levels. She implements the policies and decisions made by the Firm’s management. Nancy coordinates the responsibilities and activities of the administrative staff ensuring a smooth work flow while promoting efficiency and firm profitability. 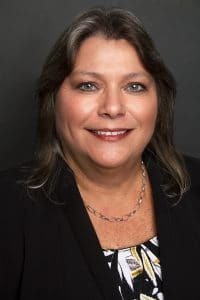 Nancy handles all aspects of office administrative, administrative training of all new hires, coordination of employee benefits, and personnel issues. This entry was posted in Practice Support on August 1, 2016 by Brian at Mackmedia.